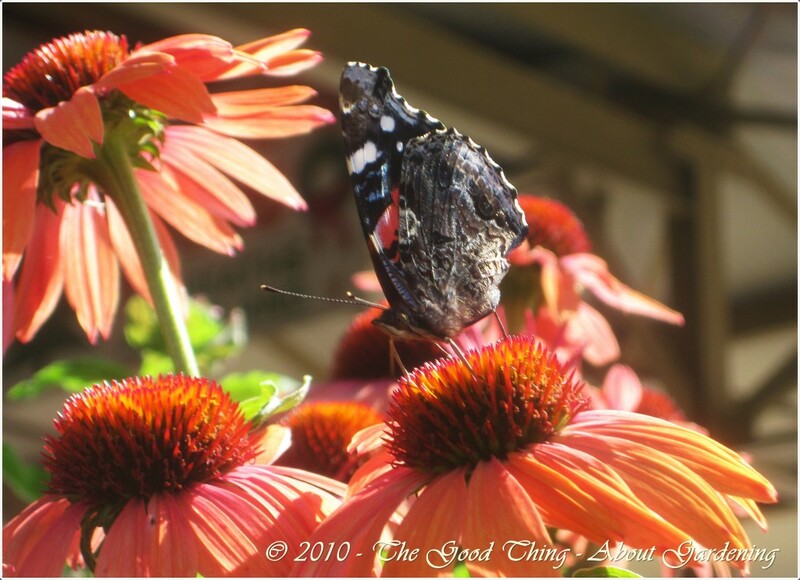 What’s the next best thing to growing your own fresh vegetables and flowers? Selecting them from a local market like the Minneapolis Farmers Market! The festive, aromatic atmosphere is just part of what makes strolling through the covered buildings filled with rows of produce, flowers, and plants so much fun. 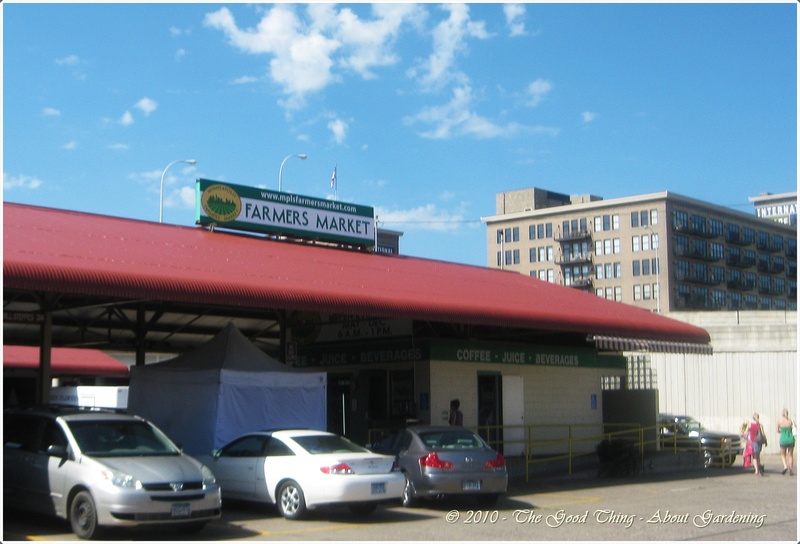 The market on Lyndale dates back to 1937. 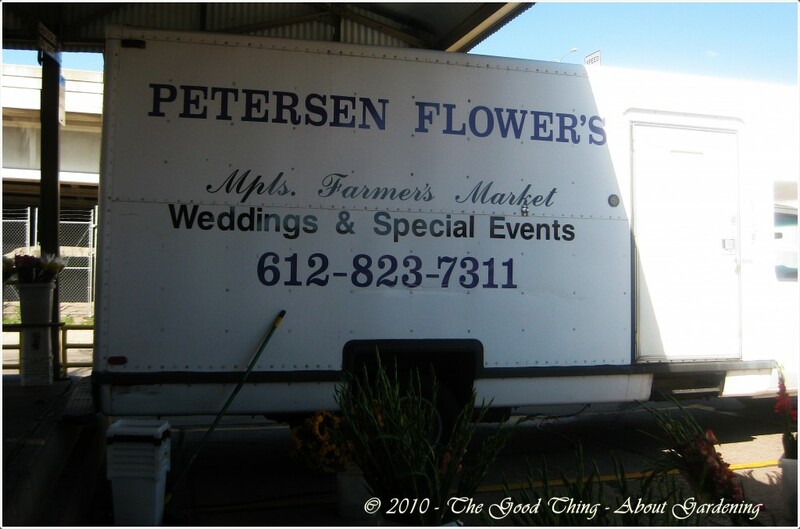 There a currently 230 vendors and 170 stalls at the Lyndale location. 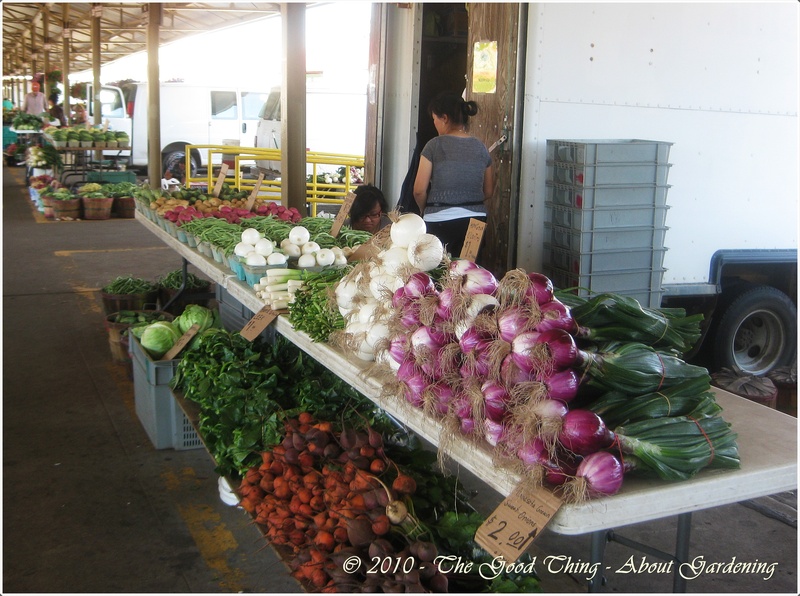 The vast selection of different types of vegetables is amazing and most of them are grown locally. Several vendors offer perennials, potted herbs, and shrubs. A butterfly stopped for a visit on the cone flower. 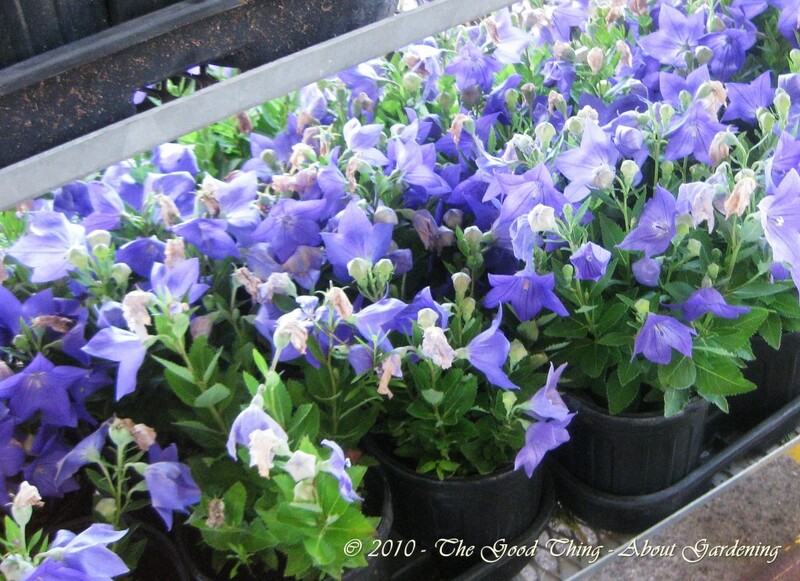 A large selection of very healthy Balloon Flowers, a vibrant blue perennial that likes full sun and well drained soil. 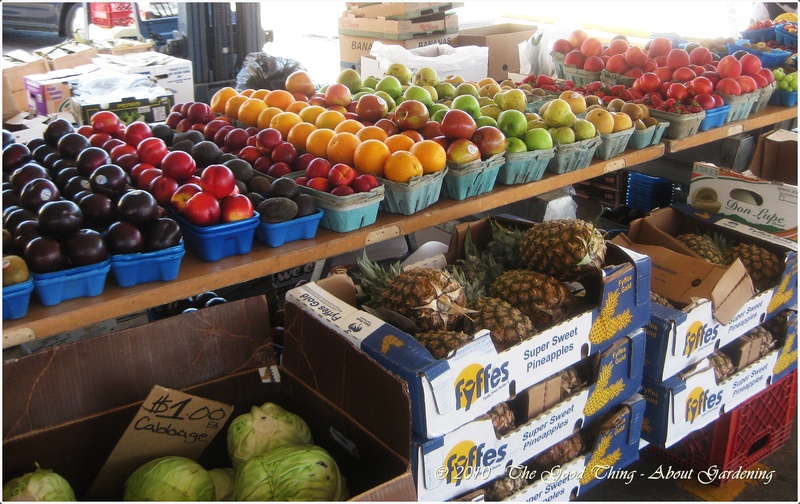 Some produce that can’t be grown in Minnesota is brought in from southern states. Many of the flowers are grown locally. 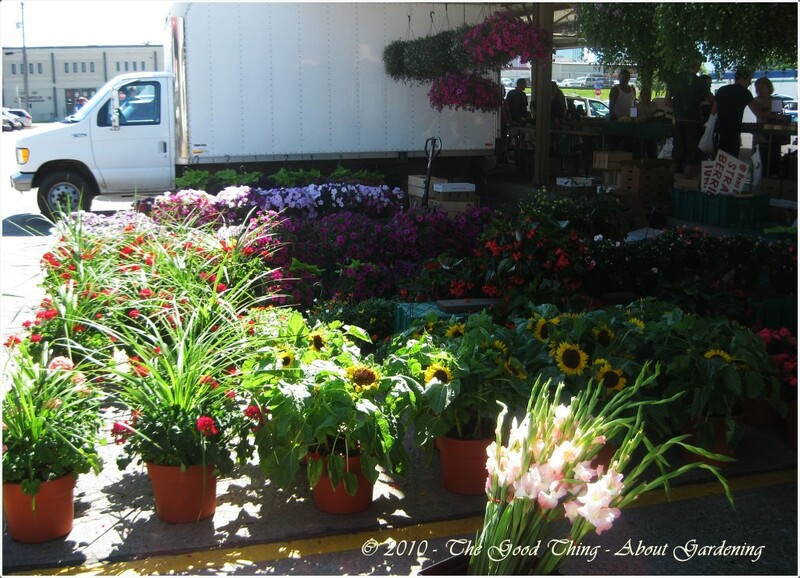 Many of the vendors are here 7 days a week all summer long. Others are only at the market on Friday, Saturday and Sunday. The market wasn’t as busy today as it has been when I’ve visited before, but it’s always been a Saturday in the past. 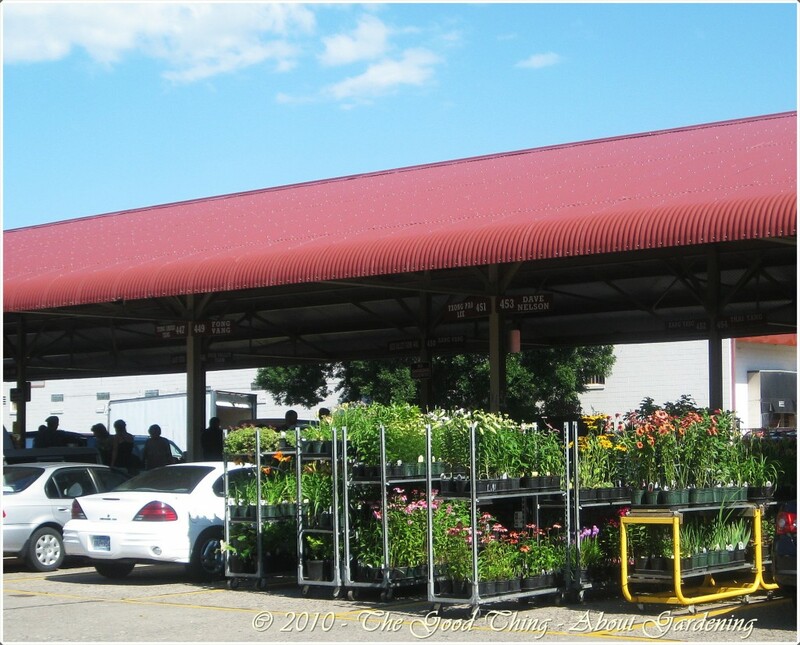 It was easy to find parking and I even drove up to the stall to pick up the shrubs that I bought and there was parking available there too. 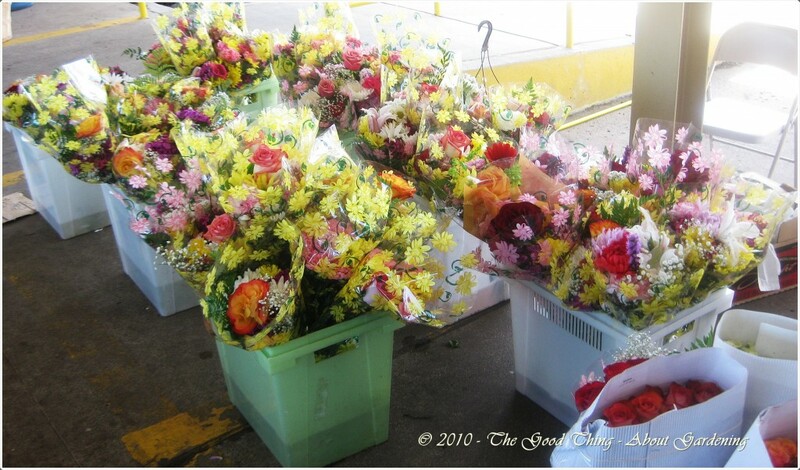 Many flower arrangements were available, both potted and bouquets. 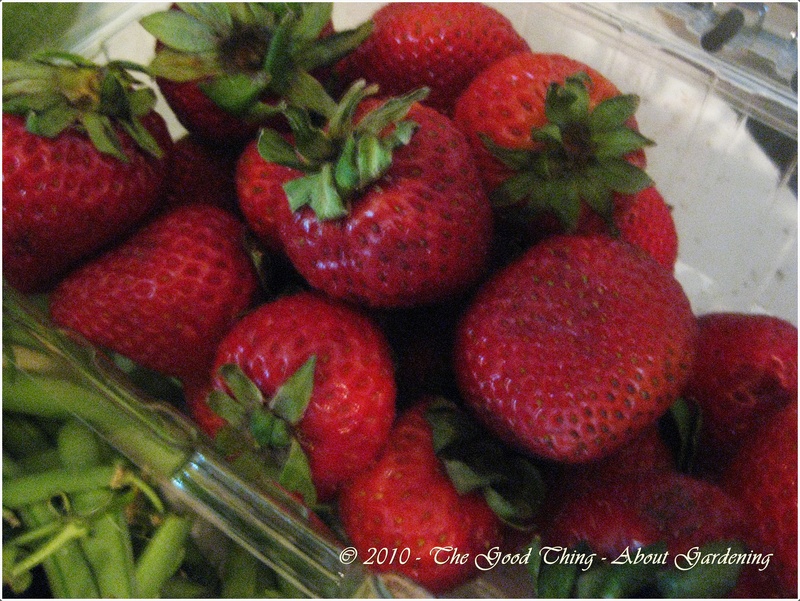 My haul included these strawberries, 3 quarts for $5. 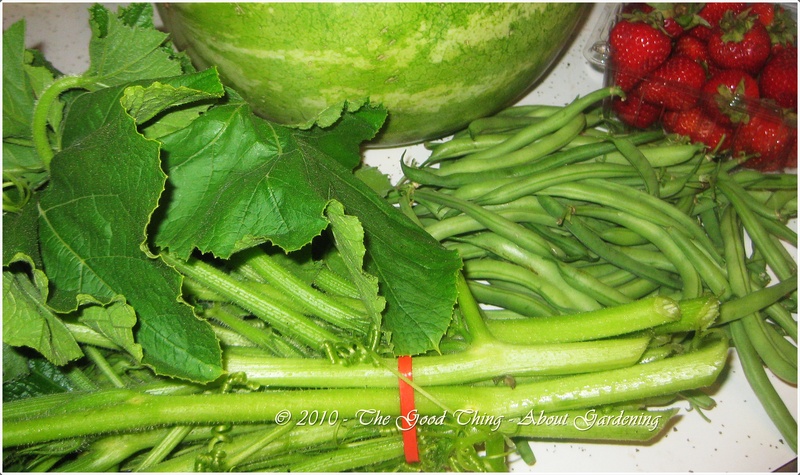 Seedless watermelon grown in Georgia, $3; pumpkin leaves ($1/bunch); greens beans, $2/tray; 3 qts. strawberries, $5. I bought the pumpkin leaves (Bangladeshi Spinach) from a woman who did not speak English, so the neighboring vendor translated for me and explained that they are delicious either boiled or fried with a little salt, pepper, and butter. 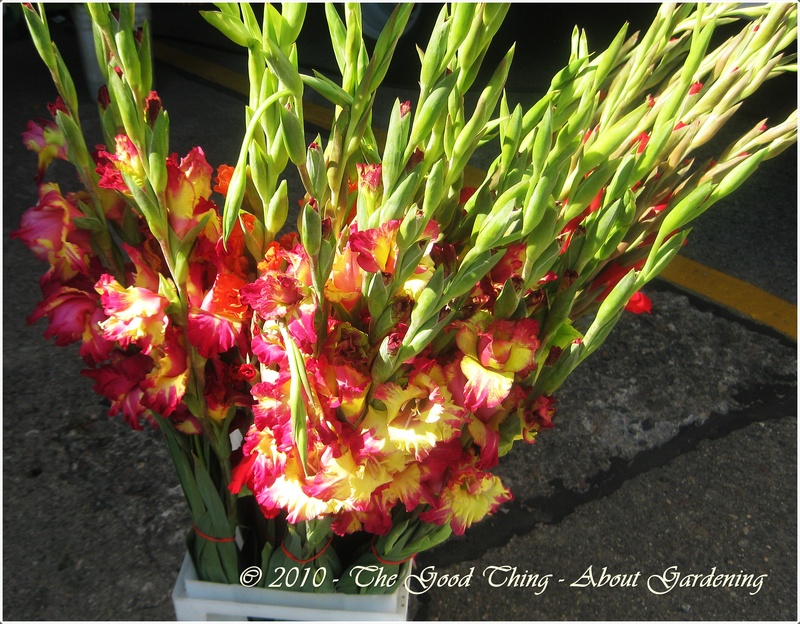 Gladiolas from Petersen Flowers, $3. 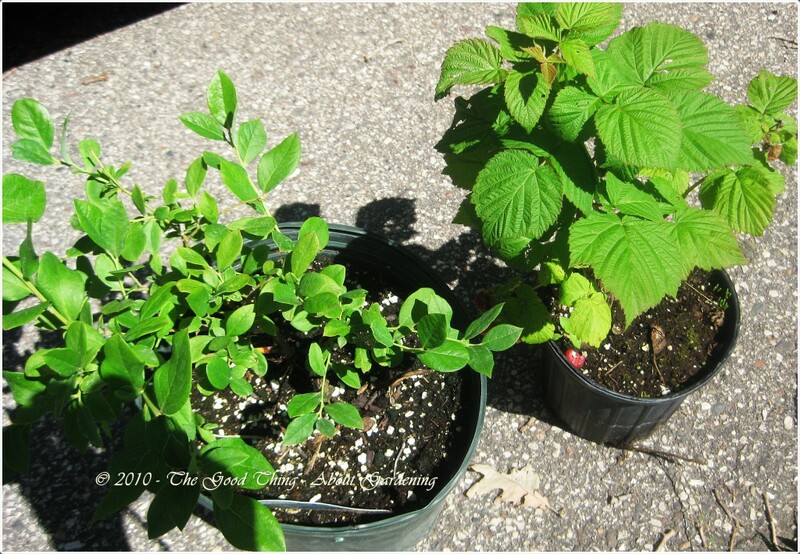 Blueberry Bush, $12; Raspberry Bush, $6. I picked up these beauties from Tamblyn’s Nursery. Fresh on the vine raspberries (they were delicious). Strip and peel away the fibrous cover from stems and leaf veins. 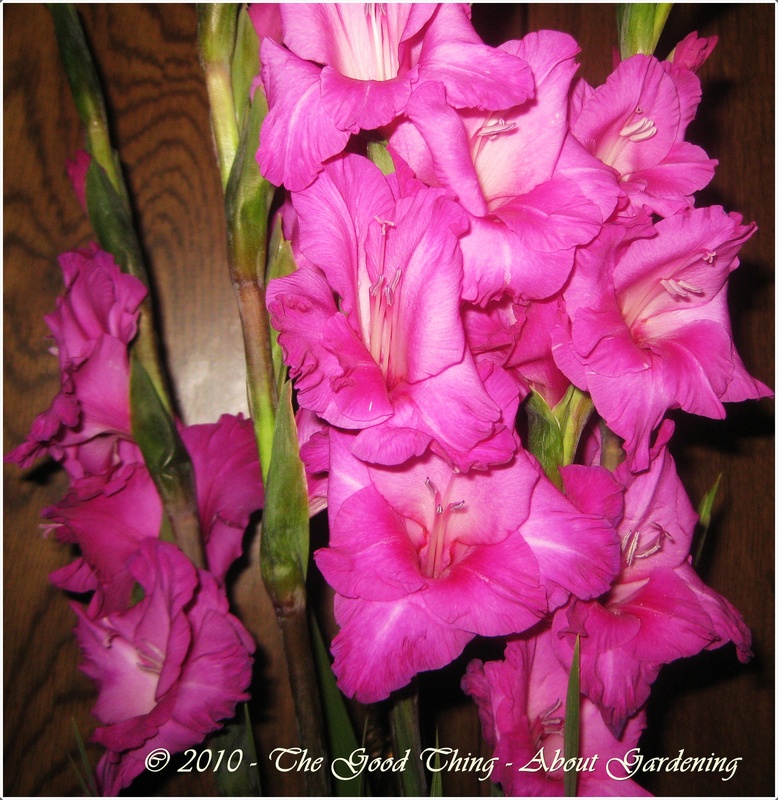 Remove hard ends, cut stems into 3-inches length, put aside. 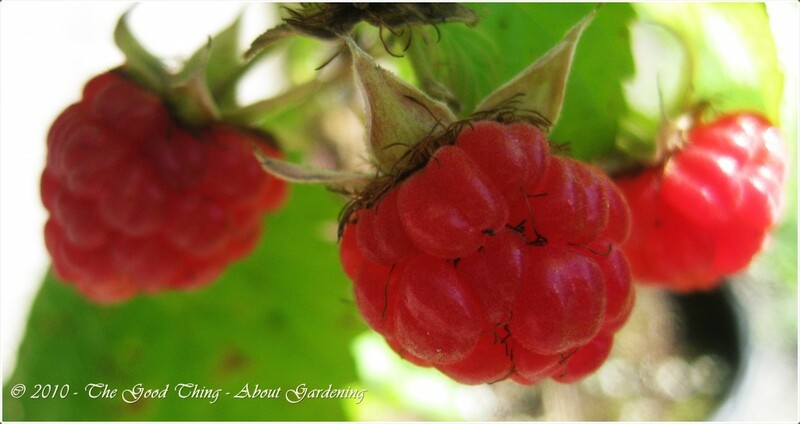 Use gloves or your hands to knead the leaves gently to remove the tiny hair from them. Wash them throroughly. Heat 2 T oil in a large pan, add garlic, stir until fragrant, add pumpkin leaves. Sauteed until tender, season with salt, fish sauce, pepper. 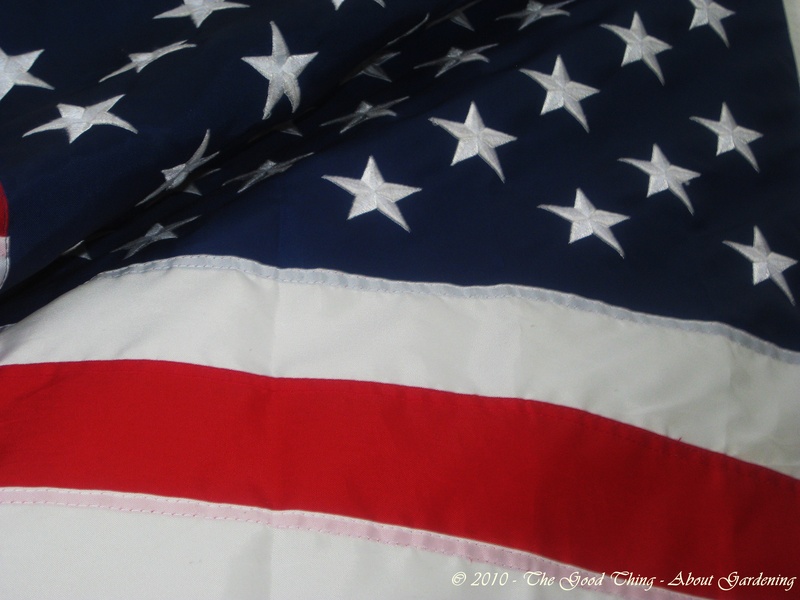 To all fellow Americans – Happy 4th of July! Whether you’re spending time with family and friends enjoying BBQs, parades, the weekend at the cabin, or just relaxing at home finishing the day with a big bang of fireworks, today is a day that we celebrate our freedom. I hope that your holiday is memorable, enjoyable, and safe. Here’s a red, white and blue dessert that celebrates the delicious tastes of fresh picked strawberries, blueberries, and whipped cream. Fresh picked strawberries, blueberries and whipped cream topping. Although I’d like to take credit for the fresh strawberries, the plants in my garden are not quite ripe for picking so we stopped at a road-side stand on the way home from my nieces graduation party yesterday and purchased fresh strawberries, blueberries, cantaloupe and watermelon (grown in Indiana). Mash the strawberries with a fork and add sugar. Mix well. 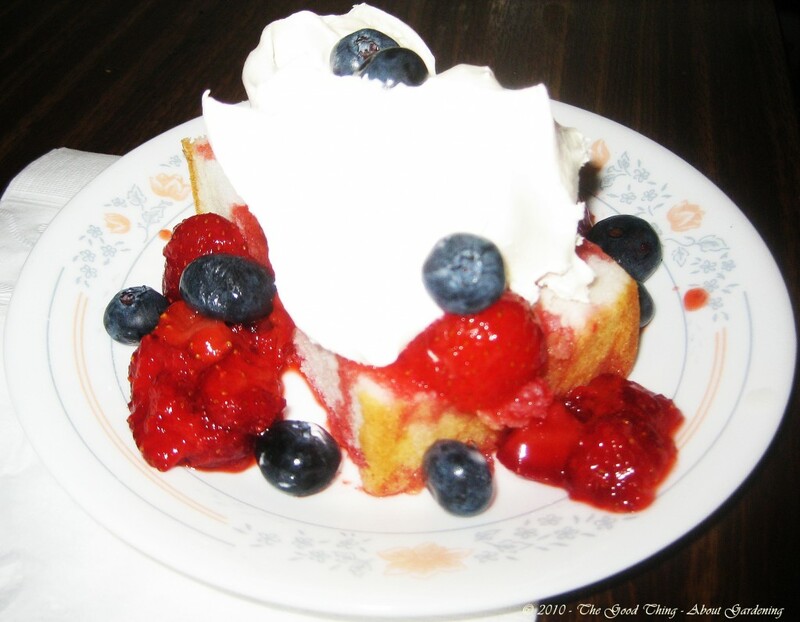 Slice angel food cake into pieces. Top with strawberries, blueberries, and whipped cream and serve. Savor the flavor of summer!